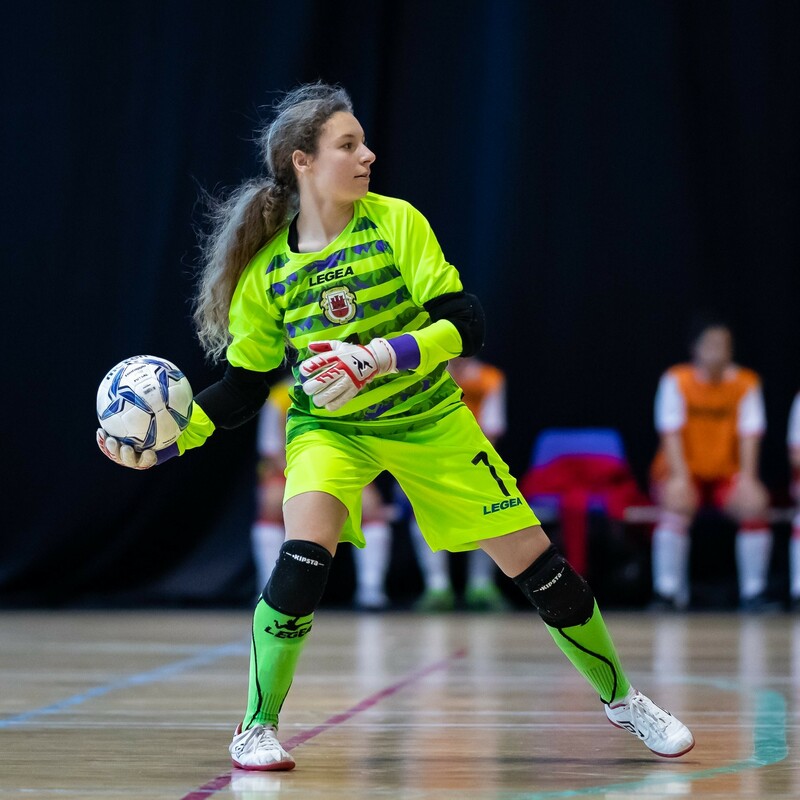 Gibraltar’s National Women’s Futsal team made their international debut this weekend at the Tercentenary Sports Hall with an International Friendly double header against Northern Ireland. Under the new coaching team of Gayle Garcia (Head Coach) and Janssen Olivero (Assistant Coach) Gibraltar’s Women put in two tremendous performances and despite the full-time scores, on both days, they proved more than capable of competing at this level. Their first international games, their first international goals and performances to make all of Gibraltar proud. 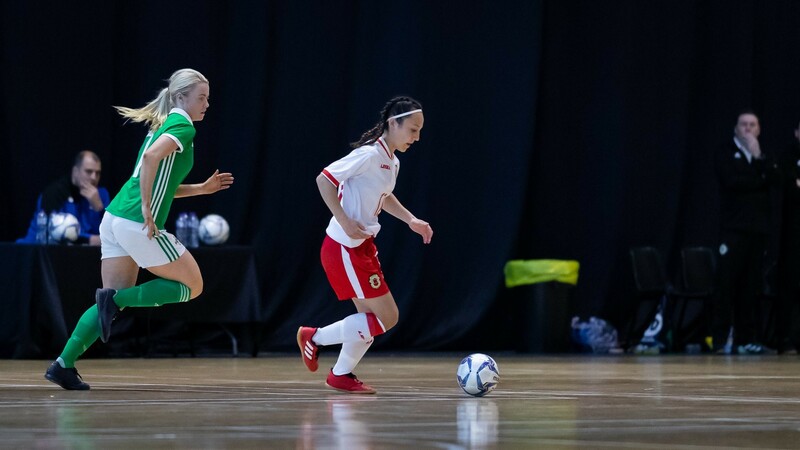 It's onwards and upwards for them as our Women's National futsal team have made a huge impression this weekend in their first fixtures at this level. Despite creating a number of chances and gaining confidence throughout the match Gibraltar found themselves 2-0 down at half time. Not letting the score affect them Gibraltar continued and a strong second half performance and forced the Northern Ireland goalkeeper into making some excellent saves. Unfortunately Gibraltar couldn’t find a way to breakthrough and it was Northern Ireland who scored again to finish the game 3-0. This was the visitors' first ever ointernational futsal victory. Both goalkeepers were forced to make early saves but as the half went on it was Gibraltar who had the better chances and began to dominate. 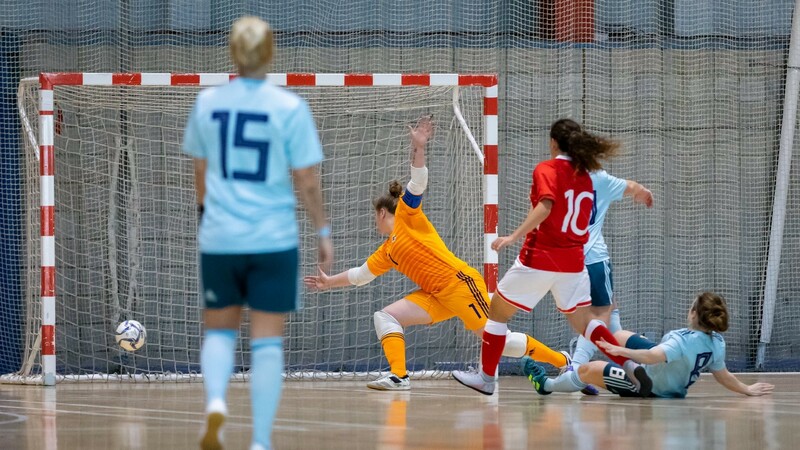 Kayleigh Ferro scored Gibraltar’s first International Women’s futsal goal. Joelle Gilbert doubled the lead shortly after. Gibraltar were then awarded two penalties as half time approached but with one going over the bar and other struck the post Gibraltar could not manage to add to the scoreline. The second half started evenly but Northern Ireland then piled on the pressure managing to score three times to overturn the scoreline to win 3-2.